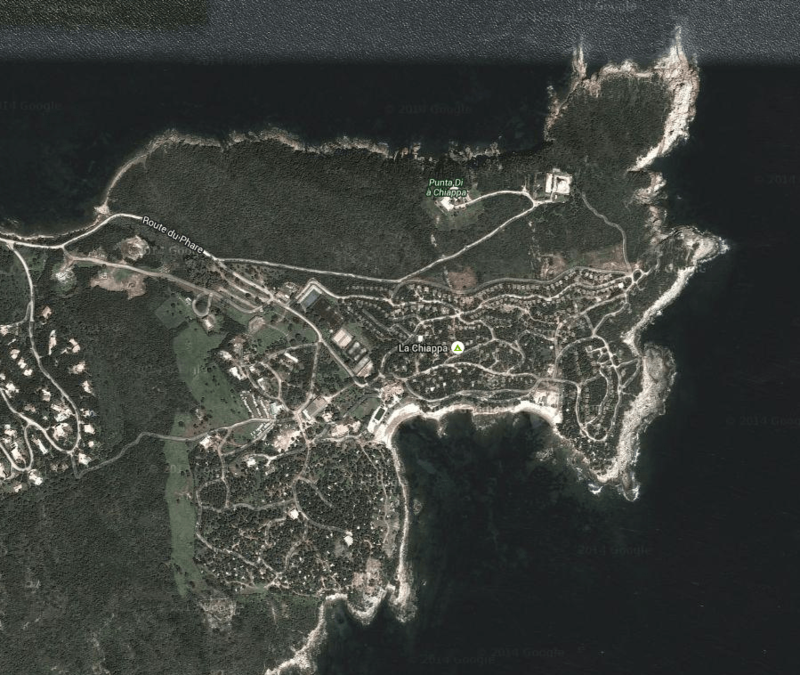 La Chiappa is not difficult to find but you would be best to consider traveling there by car or at least hiring a taxi in Porto-Vecchio. La Chiappa about a 15-20 minute drive from Porto-Vecchio and located on the southern headland of the Porto-Vecchio Gulf, on the Island of Corsica. Corsica is an easy flight within Europe and has 4 airports. For La Chiappa you would be best to use either Bastia or Figari, depending on where you start your journey and what else you may have planned. Ajaccio and Calvi are also options and are on the other side of the island. Ferries are also an option if you don’t want to hire a vehicle on the island, or bring your own if you’re based in Europe. You are best to check with airlines and ferry operators for what suits your plans and timetables. 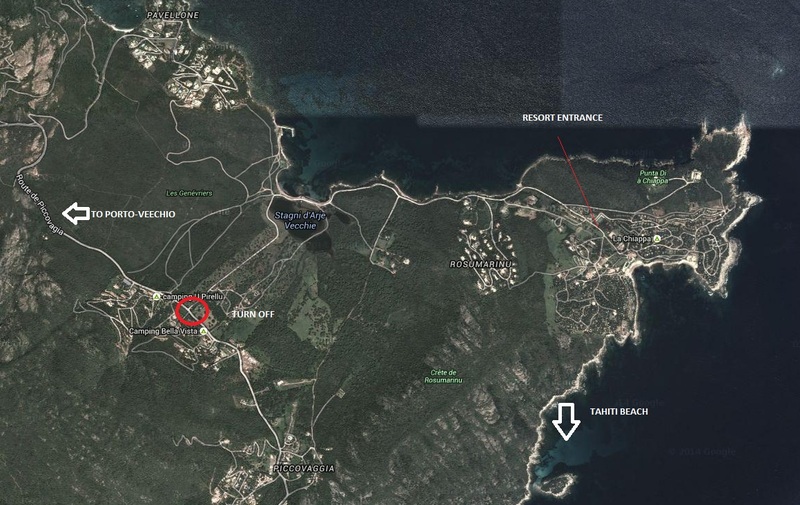 Porto-Vecchio is the largest nearby town from the resort with the N198 the main highway to reach it from the North and South. On the southern side of Porto-Vecchio turn off the N198 at the round-a-about on Route De Piccovagia. This round-a-about is also the junction with the D859. Follow the Route De Piccovagia as it winds its way along the headland. 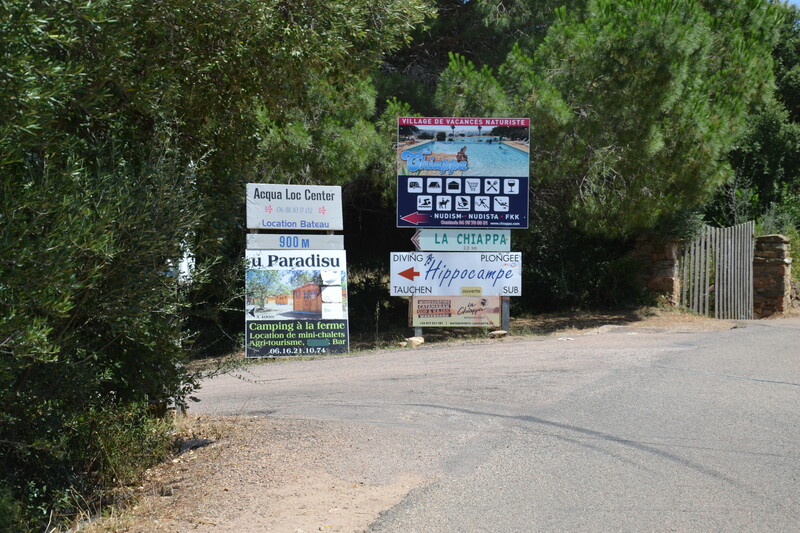 Turn left on to Route du Phare until you come to the resort. This turn off is well signposted.